UPDATE: In June 2018, Agnes Gereb was granted clemency by Hungarian President Janos Ader. See the Hungary Today article here. It’s a defining feature of the birth monopoly: Hospitals and doctors using their power and influence over the legal system to make it difficult or impossible for providers to offer women the choice for supported childbirth outside the hospital. 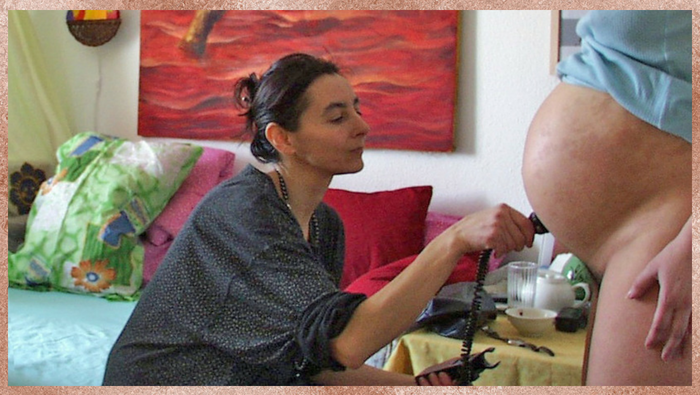 Such is the case with the long-term legal prosecution of Agnes Gereb, the trailblazing Hungarian obstetrician who chose to become a midwife almost 20 years into her career so that she could support women on their own terms. Dr. Gereb and her client Anna Ternovsky are featured in the 2012 film Freedom for Birth, which chronicled the cases against Ms. Gereb, and the lawsuit that Ms. Ternovsky brought before European Court of Human Rights. That case was about the effect the legal climate in Hungary had on her reproductive right to choose the circumstances of her baby’s birth, in a country where (much like the U.S. and other parts of the world) home birth midwives are oppressed and marginalized and human rights abuses are routine in hospital maternity care. Ms. Ternovsky won that lawsuit when the Court agreed that it is a human right to choose the circumstances of birth, including to choose home birth with a midwife, and that the state has an obligation state to support, rather than restrict, that right. Unfortunately, this ruling did not translate into a meaningful policy change in Hungary. After spending three years on house arrest in her Budapest apartment, Dr. Gereb continues to be dragged through legal proceedings, and this month, was sentenced to two years in prison. Below is a press release out today from Donal Kerry, Dr. Gereb’s lawyer and spokesman. The letter he references is significant because it represents a joint plea by the global organizations representing both midwives (International Confederation of Midwives or ICM) and obstetricians/gynecologists (International Federation of Gynecology and Obstetrics or FIGO) to Hungarian President Janos Ader for clemency towards Dr. Gereb. The letter is, also significantly, signed by the FIGO branch in Hungary. Today’s press release is below and the letter from ICM/FIGO can be viewed here. In addition to spokesperson Donal Kerry (donalkerry_at_hotmail.com), U.S. outlets can reach for comment lawyer and founder of Human Rights in Childbirth Hermine Hayes-Klein (hayesklein_at_gmail.com), who is familiar with the case. Press Release: January 30th, 2018. ORGANISATIONS REPRESENTING 1.5 MILLION MIDWIVES AND DOCTORS WORLDWIDE, UNITE TO EXPRESS THEIR SUPPORT FOR Dr. AGNES GEREB, BIRTHING MOTHERS, MIDWIVES AND DOCTORS IN HUNGARY. Today, the International Confederation of Midwives (ICM) and the International Federation of Gynaecology and Obstetrics (FIGO) wrote to Hungarian President Janos Ader concerning the situation of Dr. Gereb. The two federations represent 1.5 million midwives and gynecologists/obstetricians worldwide. Dr. Gereb, the Hungarian midwife and obstetrician is currently facing a 2 year prison sentence and will now turn to Hungarian President Janos Ader to seek a clemency in the matter. When expressing their support for Dr. Gereb in her application for clemency both ICM and FIGO stated that “It is our shared belief that women around the world have the right to excellent midwifery and/or obstetric care and we encourage and celebrate midwives and obstetricians who respect a woman’s right to make informed choices and decisions about her care during childbirth”. Both organisations, through their respective presidents, said they believed that “midwives and obstetricians always have the right to first be investigated by their peers; that is, a professional hearing by experts from their own profession of midwives or obstetricians, respectively. Such a professional hearing should always precede the potential necessity of handling by police and investigation by a criminal court”. To this end, both ICM and FIGO expressed their willingness to “offer our respective technical expertise to assist the Republic of Hungary where necessary, by giving opinion and feedback on its newly developed guidelines for home-birthing and for the structure of its health professional disciplinary processes”. In concluding, ICM and FIGO respectfully urged President Ader to “uphold these respective rights for all women, midwives and obstetricians in your country”.